Steam spinach in a frying pan, tossing over medium-high heat for a few minutes, with only the water used to wash it. Squeeze all the water out and chop roughly. Peel the bottom quarter of the asparagus stalks to remove tough part. Spray asparagus and mushrooms lightly with olive oil, season with a bit of salt and pepper, and roast for about 15 minutes. Cut asparagus into 2 inch pieces. Cook onion in butter over moderate heat, stirring, until soft, for 5 minutes. Add 1/2 teaspoon salt, 1/4 teaspoon pepper, and nutmeg, stirring for 1 more minute. 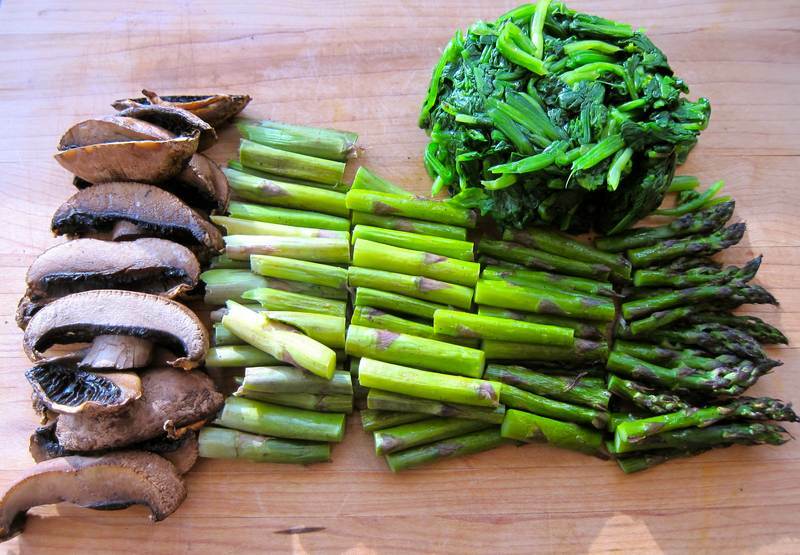 Combine onion with spinach, mushrooms and asparagus. 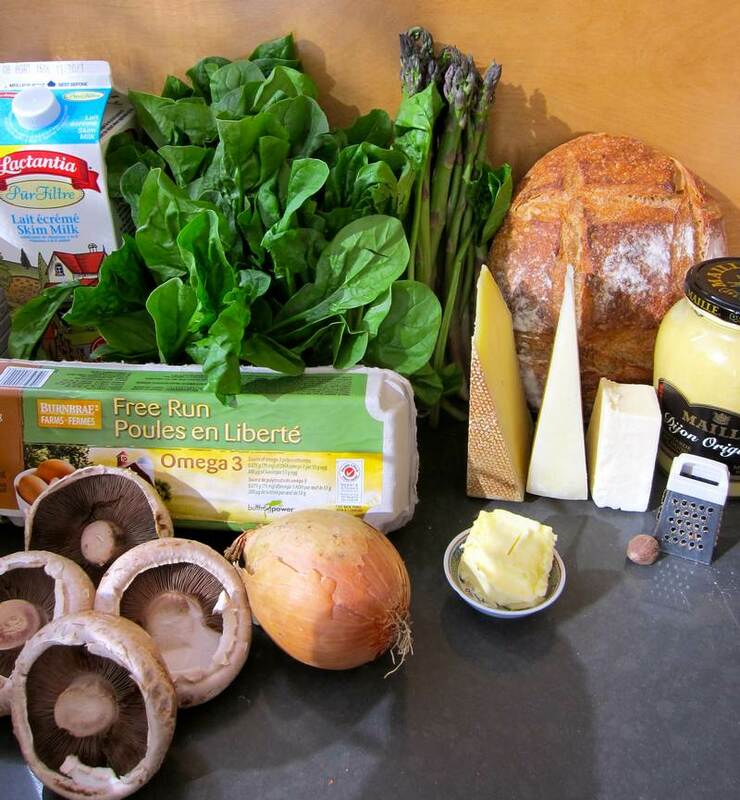 Spread 1/3 of bread cubes in a buttered large, shallow 9 x 13 inch baking dish and top with 1/3 of vegetable mixture. Combine the 3 cheeses, then sprinkle with 1/3 of cheese mixture. 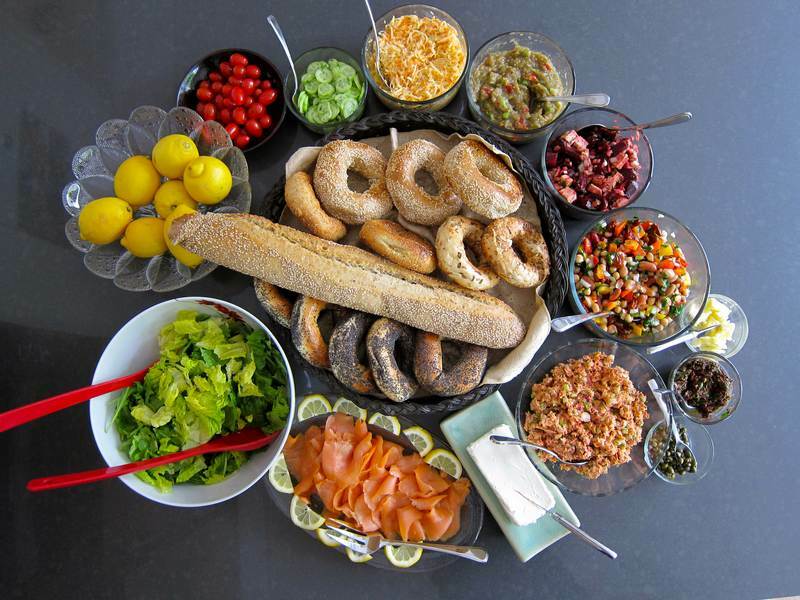 Repeat layering twice– ending with cheese. 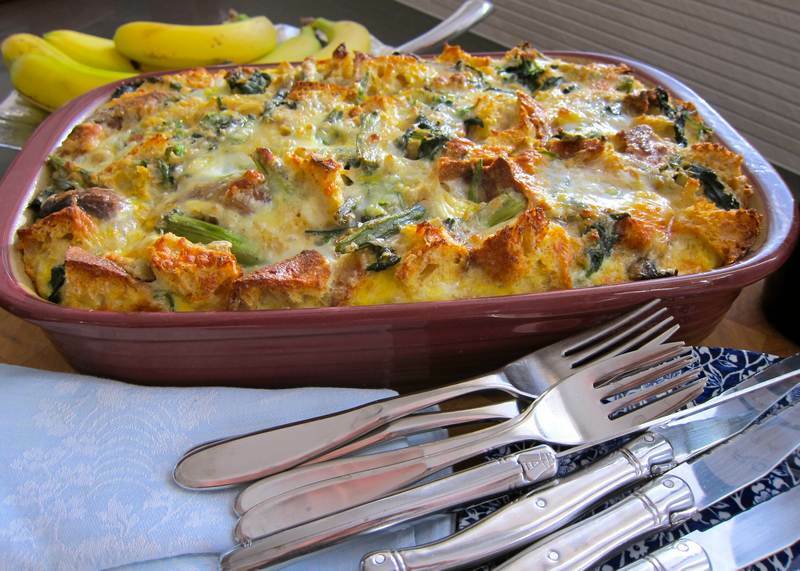 In a large bowl whisk together milk, eggs, mustard and remaining 1/2 teaspoon salt and 1/4 teaspoon pepper, and pour evenly over strata. Refrigerate, covered, for at least 8 hours so that the bread can soak up the egg mixture. Preheat oven to 350°F. 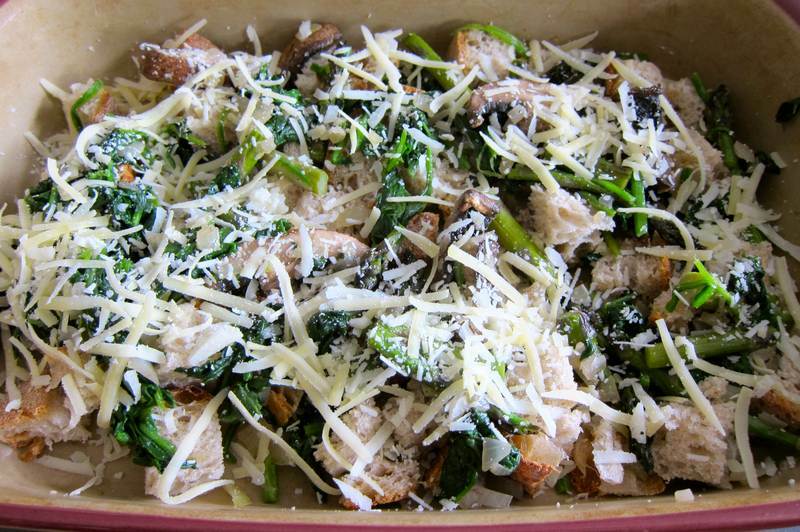 Let strata stand at room temperature for 30 minutes before baking. Bake uncovered, in middle of oven until puffed, golden brown, and cooked through, for about 1 hour. Let stand 5 minutes before serving. This dish tastes great reheated. Sprinkle on additional cheese before reheating if desired. The nice thing about this dish is that it makes a perfect meal with just a simple green salad. 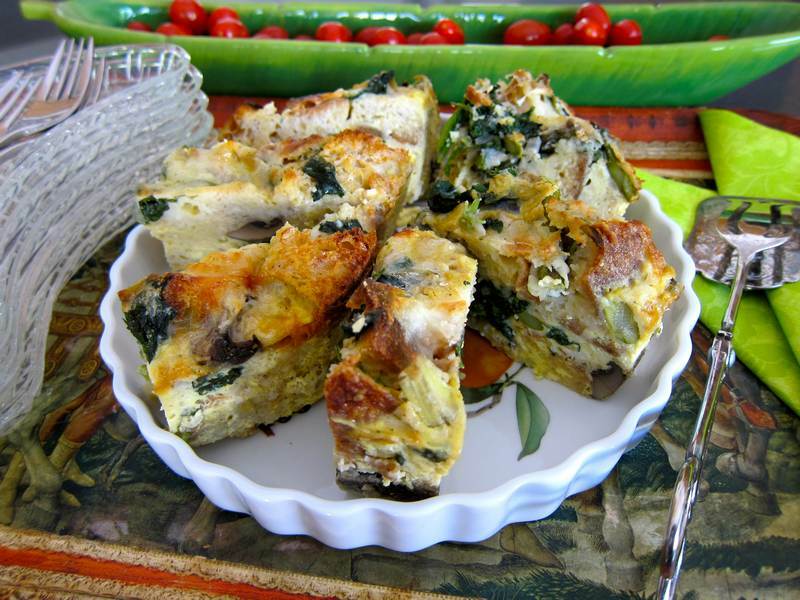 This recipe was adapted from the Epicurious Spinach Strata recipe. Thanks a million to my chef-sister Julia Richardson for all the delicious Mother’s Day salads and for guiding this strata. Thanks to my family for making Mother’s Day special and memorable! My apologies to the gang at work. The strata I brought to the breakfast pot luck needed more time to heat up, but I couldn’t tear myself away from Galore by Michael Crummey. Note to self: No reading before work. Heather Stiglitz, your dish was stellar! Thanks to amazing artist-friend, Nina Cherney, for sampling leftovers and agreeing that Yvonne’s Cheesecake posted on my recipe 2 recipe blog is outstanding. If you missed Nina’s recent show at Gallery d’Avignon, you may still be able to acquire one of her modern, psychedelic Group of Seven style landscapes–before they wind up in the National Gallery. 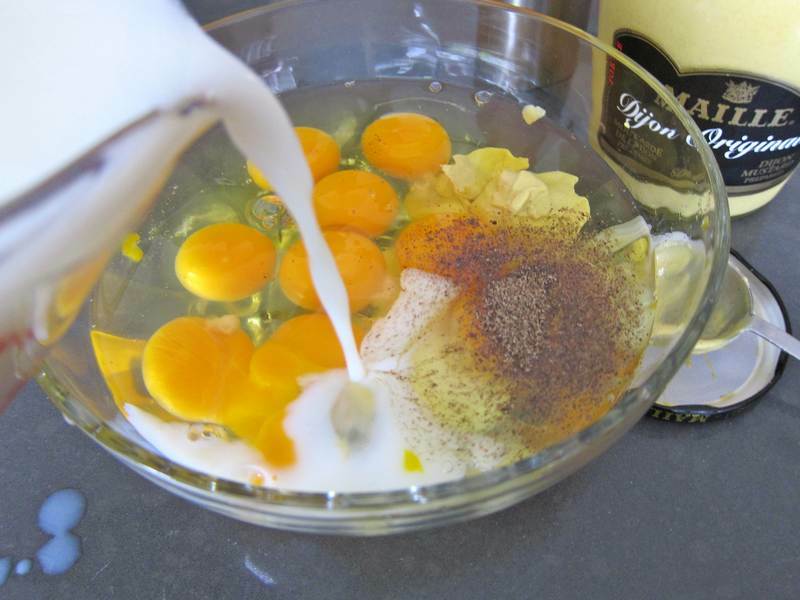 « Yvonne’s Cheesecake – Celebrate Mother’s Day! Your photos are getting better and better, Holly. Keep up the great work! Good point! Thanks for the warm milk tip. I agree that the photos are more enticing these days. Great to hear from you!!! Thanks! It was also kind of nice to have the next meal covered!